Fifteen years ago, Christmas arrived in July, or at least it did in my life. A decades-long search for the keystone on one of my ancestral brick walls was found causing the wall to tumble. An obscure article in a rarely read city history book identified the location where my 3rd great grandmother, Mary Ardith Tirrill Farrar, died and was buried. 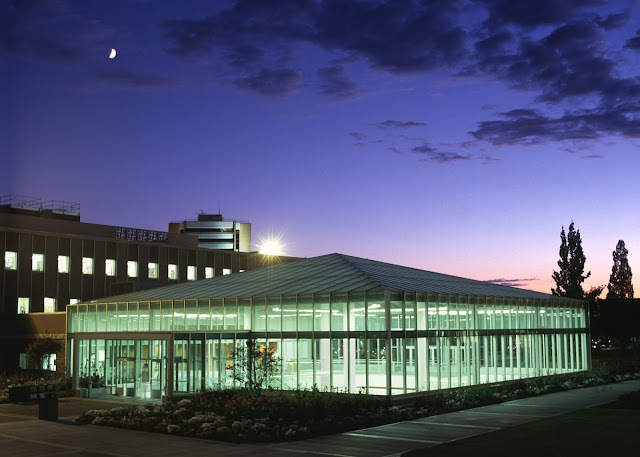 The discovery happened in the Harold B. Lee Library at the Brigham Young University in Provo,Utah and was a total fluke. My wife and I had gone to dinner on a warm Saturday night in early July and as usual, the dessert tray proved to be my undoing. The carrot cake they make is the best in the area. I had to have a piece. The cake was great but I knew that I'd still be awake by sunrise on Sunday morning if I didn't do something to burn off at least part of our evening meal. A walk on a beautiful summer evening under the red, gold and purple sky with its feathered clouds would do the trick and better yet, I'd get points for taking a romantic stroll across the south end of the BYU Campus. When we walked by the library, we decided to take advantage of our location and spend an hour browsing through books looking for information about our respective ancestors. My wife was rewarded almost immediately when she found a history of her 3rd great grandfather that she hadn't seen before. I wasn't as successful, until I started dragging my finger over the spines of the books wondering if one of them would 'feel' right. Not only did one feel right, it literally fell into my hands when I touched it. Retreating to a comfortable chair, I settled down to scan through its pages on the off-chance that there actually was something in it of worth in my ancestral quest. I remember saying to my wife, "Watch this!" "This book fell into my hands." "I wonder if it will also fall open to a page that talks about my ancestors." With her typical wry smile at my antics, my wife indicated the table in front of our feet and said, "Give it a try." I did and the rest of the story is the basis for a lot of genealogy serendipity stories that have spun off my fingers since that summer night. 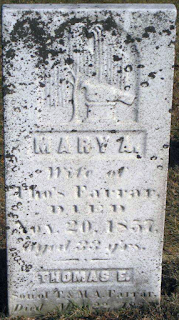 Mary Tirrill Farrar's family was listed in the town history saying she had died in Walworth County, Wisconsin! Wisconsin? She lived in New Hampshire and South Carolina or so I thought. How, when and why had the family moved to to Wisconsin? That is another story but the clue opened the door to finding the lineage of her husband, Thomas Farrar. So what does all of this have to do with the Walworth County Genealogical Society? After two consecutive days in the Family History Library in Salt Lake City looking for the Farrar's in Walworth, I'd found grandpa's naturalization document and little else. I was out of time and out of energy after two opening to closing days of research. I abhorred walking out of the doors defeated, so I decided to pull out the old "finger drag" method once again. Tick, tick, tick. My fingers slipped across the spines of the books in the Wisconsin section on the main floor. No Joy. No Joy. No Joy. What was I thinking? Did I think that the finger drag method would work again? Well, why not? I hadn't touched the bottom row of books, so I went to my knees and started dragging my fingers over that row of books. The method had to work. The library closing call was coming from the speakers. Drag, drag, SNAG! A new paperbound book stopped my progress because of its size, it couldn't be pushed further back on the shelf. I pulled it out and chills ran up my back because it was titled, "Brick Church Cemetery: Walworth Township, Walworth County, Wisconsin" by the Walworth County Genealogical Society. You know how the story goes from this point on. Grandma Mary's namee was listed on the pages. She had died there along with her young son and her mother-in-law. Mother-in-law?? Wow!! Her name was on the other side of my "Brick Wall"
Elizabeth Shaw was born in Yorkshire, England where she grew up, met and married grandpa Eli Farrar and eventually migrated to America where the couple joined with their two sons, John and my ancestor, Thomas, who had migrated a few years earlier. 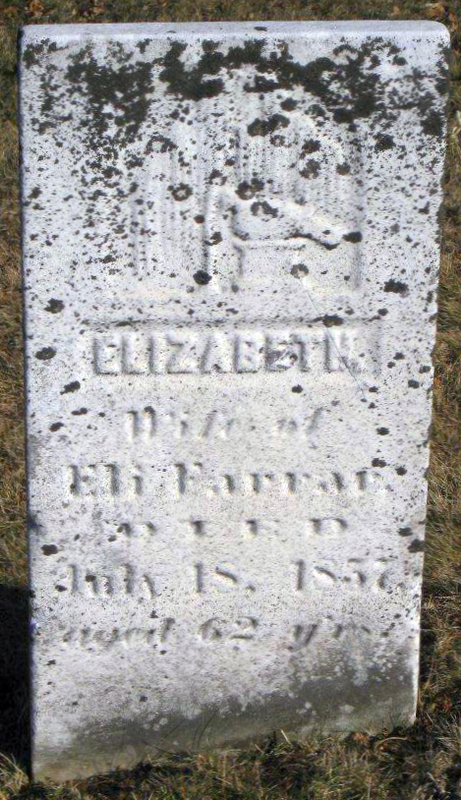 The clue came from the inscription on Elizabeth's tombstone, "Elizabeth, wife of Eli Farrar, Died July 18, 1857 aged 62 years." In one moment, the inscription gave me the names I had search for during the previous 50 years. Serendipity? Was the publication of cemetery tombstone inscriptions by the Walworth County Genealogy Society the end of the story? No. Obviously not. The book had arrived at the Family History Library as a new acquisition or donation the same week that I was there researching. After photocopying the page about the Farrar burials, it easily slid back on the shelf with its spines flush with the books adjacent to it. Other than its lighter colored cover, it didn't stand out at all. In fact, being on the bottom shelf, I probably wouldn't have bent down to read the title if it hadn't stopped my finger dragging exercise. Serendipity! Of course the story goes on from here. When I got home, I couldn't put the photocopy down. It meant too much to quickly tuck it away in one of my documents binders after I'd transcribed it into my genealogy database. I kept wishing that I could see the tombstones. I spend a lot of time taking photos of tombstones in my area and posting them on Find-a-Grave so they are available for the families of the 'names' on the markers. Would anyone do something like that for me in Walworth County? Enter the Walworth County Genealogical Society. I found their website and their phone number. The wonderful lady that answered my call that day said that she was just leaving BUT if I would send her a minimal check for the purchase of gas, she would take the time out of her very busy mom-of-youngsters life and drive to the Brick Church Cemetery and take photos of the tombstones for me. They arrived via email several days later. I only sent her three "Thank You" notes during the ensuing weeks. The headstone inscriptions contained the information I sought for so long. Genealogy societies, like the Walworth County Genealogical Society, provide services like this to researchers all of the time. They are uniquely positioned to help folks like you and I. They live where we are researching and have access to all of the records, histories, location knowledge and the community ties to help researchers like us. If you haven't contacted or joined a genealogical societies like the one in Walworth County, do so. You'll benefit more than you can imagine. I certainly have. Give it a try. Prove it to yourself.